Omega Speedmaster Watch Macro Shots Wallpaper set is contains two macro shot of Omega Wrist Watch. Omega Speedmaster watch Wallpaper set contains two different Macro shots of Omega Speedmaster Professional Wrist Watch. Copyright Holder : Jared Earle (From the EXIF Data). This set was distributed by a deviantArt member who has closed his account. We are trying to contact Jared Earle and give him the credit. 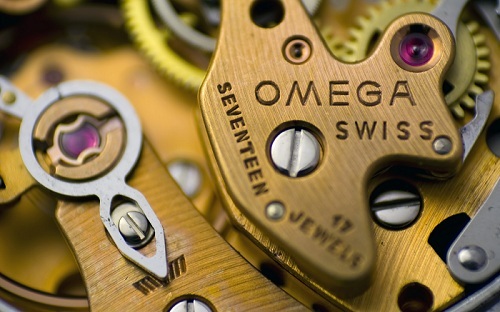 Omega SA is a Swiss luxury watchmaker based in Biel/Bienne, Switzerland. Omega is one of the most known and recognized watches in the world. Omega watch was the choice of NASA and the first watch on the Moon in 1969. 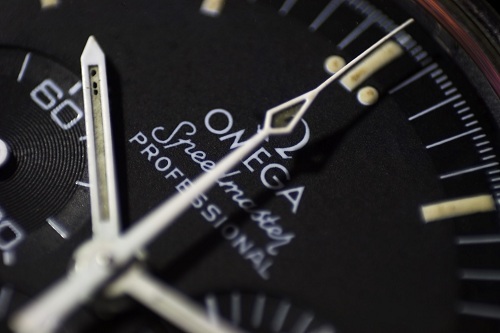 Omega was the official timekeeping device of the Olympic Games. 1920 x 1200 pixels ; resize as needed. It is a rar download, the file is 1 MB in size. This Article Has Been Shared 4605 Times! Bench Wallpaper is an excellent quality photo wallpaper in high resolution of a Wooden Bench with metallic frame, on a beautiful blurred background. Road to Autumn Wallpaper is absolutely magical photo wallpaper for Your PC and mac. Cherry Flower Wallpaper is an excellent quality High Resolution photo wallpaper of beautiful white Cherry Flower. Blue Flowers Wallpaper is an excellent quality photo wallpaper in high resolution of Blue Flowers on a beautiful blurred background. Its nice to meet you. Thanks for the appreciations too. We will provide custom premium theme designing service soon through our other commercial website. If you want to use the service, just let us know your requirements. Cite this article as: Abhishek Ghosh, "Omega Speedmaster Watch Macro Shots Wallpaper Set," in The Customize Windows, August 9, 2011, April 19, 2019, https://thecustomizewindows.com/2011/08/omega-speedmaster-watch-macro-shots-wallpaper-set/.